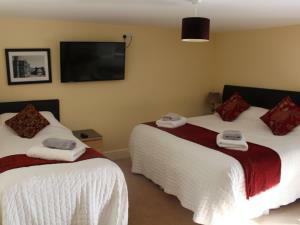 The Room has zip & link beds allow for either 2 x 3 ft single beds or 1 x King size double bed + 1 single bed. Dinner - Can be booked at a local restaurant Y Sospan which serve between 6.00pm -9.30pm. Please specify double/twin.